VIA Technologies, a global leader in the development of embedded platform and system solutions have announced its VIA Smart Recognition Platform powered by the Qualcomm Snapdragon 820 embedded platform. The VIA Recognition platform offers a robust development suite for Vision-based applications with the possibility of developing applications that can be used for detecting facial expression, faces, age and even the gender type of an individual. 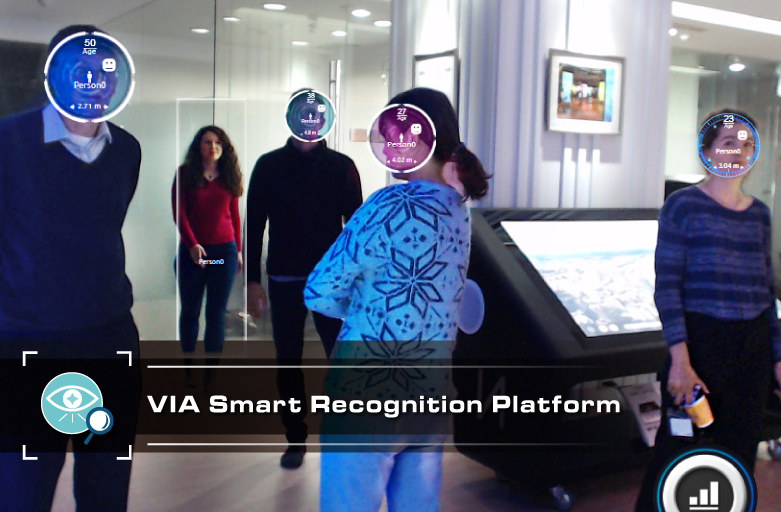 The VIA Technologies announced the VIA Smart Recognition Platform during the Embedded World 2018. The Platform provides support for object and facial recognition, emotion detection, age and gender detection. 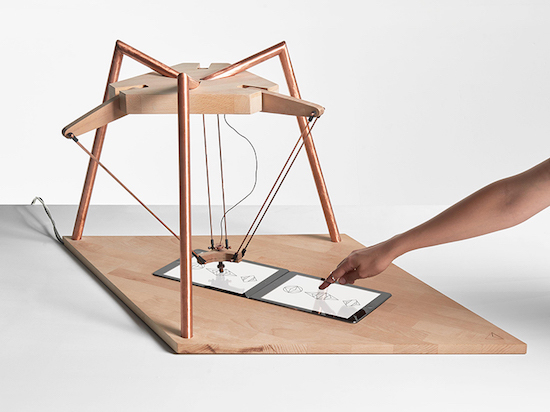 Apart from that, the platform can be used for people counting and tracking. Applications for VIA Recognition Platform can be found in office buildings for staff access control and be delivering personalized adverts in retail signage kiosks. Others areas of note can be in traffic monitoring (counting of vehicles), security screening in airports and VIP places, payment authentication, surveillance and others. The platform’s advanced AI algorithm ensures speed and accuracy. 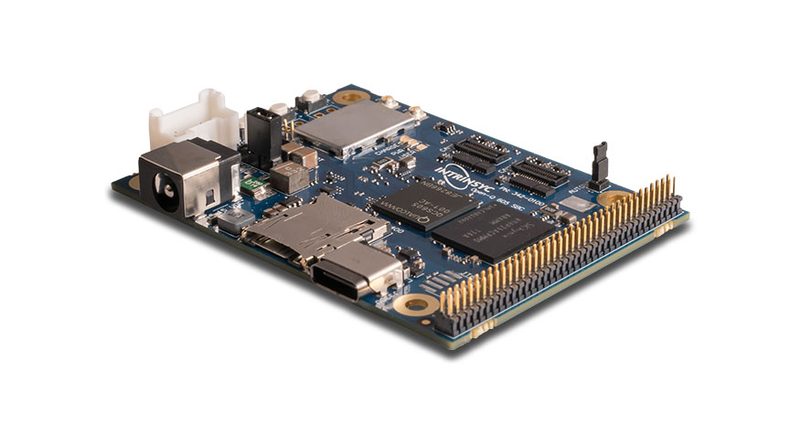 The VIA Smart Recognition platform is based on its VIA SOM-9×20 module powered by the Qualcomm Snapdragon 820 and coupled with a SOM-DB2 evaluation board. The significant difference with this current setup and the earlier SOM module is the pre-loaded facial and object recognition stack. The SOM-9×20 module features a Qualcomm Snapdragon 820 with 4x Cortex-A72-like cores Kryo cores, two of those run at 2.2GHz and the last two at 1.6GHz. Measuring at 82mm x 45mm, the module features a 64GB eMMc Flash memory, 4GB LPDDR4 SDRAM, a 624MHZ Adreno 530 GPU, and a Hexagon 680 DSP. 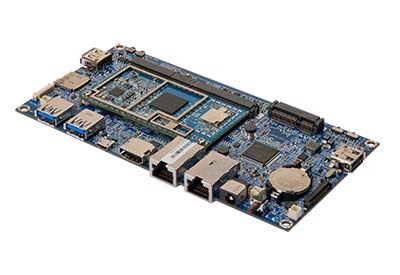 It offers rich I/P and display interface through its MXM 3.0 314-pin connector including USB 3.0, USB 2.0, HDMI 2.0, SDIO, PCIe, MIPI CSI, MIPI DSI, and multi-function pins for UART, I2C, SPI, and GPIO. It comes with a wireless module that includes Wi-Fi 802.11 a/b/g/n/ac, Bluetooth 4.1 and a separate GPS/GNSS RF receiver with an antenna connector. The carrier (SOM-DB2 expansion) I/O board is expected to help in accelerating system development. The board extends out the module interfaces, including 2x Ethernet 2x USB 3.0, micro-USB 2.0, HDMI, and a microSD. The VIA Smart Recognition Platform comes with a BSP that features Android 7.1.1 as well as the VIA Smart ETK (Embedded Tool Kit) comprising some APIs, including Watchdog Timer (WDT) for safeguarding against system crashes, GPIO access, RTC for auto-power on, and a sample app. A BSP supporting Linux Kernel 3.18.44 is also under development. The VIA SOM-9X20 module and SOM-DB2 evaluation board are available now on VIA Technologies site, but you have to contact them for the prices. For inspiration on usage in computer vision, check out the VIA Smart Recognition Turnkey System brochure and VIA SOM-9X20 Machine Vision Platform brochure.